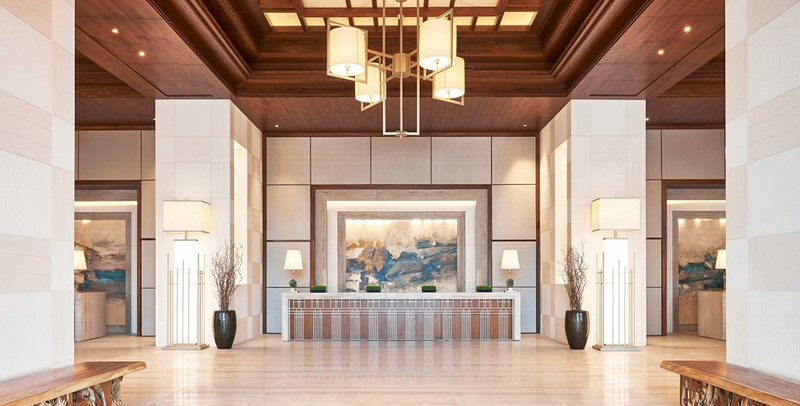 The Heavenly Spa at the Westin Dubai, located in what is being called the world�s most ambitious luxury complex in Habtoor City, features a full FarmHouse Fresh Menu exclusive to the region -- with a not-to-be-missed Food for the Skin Facial. It begins with a creamy Green Tea Milk Wash cleanse to remove makeup and dirt with a nourishing finish. Next, skin is smoothed with a natural buffing biscuit blend made with calming burdock root, mango butter, skin-enhancing rice powder and whole milk. A refreshing seasonal mask is then applied, followed by a Three Milk peptide moisturizer, to bring on a glowing appearance. 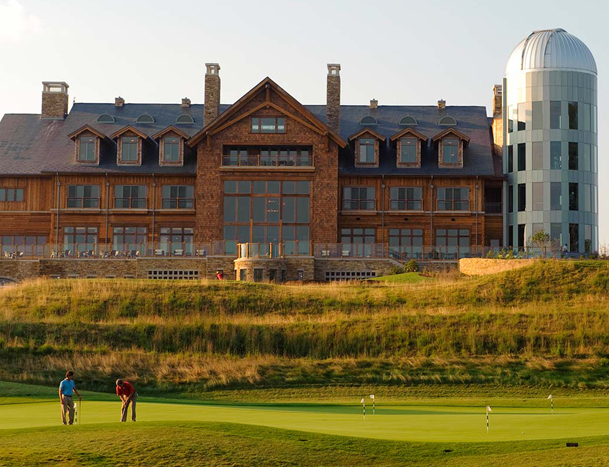 At Primland, the pristine world-class Blue Ridge Mountain Resort, couples can enjoy the signature Kanati and Selu Duo treatment (inspired by Kanati, the great Cherokee hunter and his beloved wife, Selu). This memorable experience of time spent reconnecting begins with a 30 minute private jacuzzi soak in Lemongrass Ocean Mineral Bath Salts -- while sipping organic smoothies and tasting light, healthy fare. 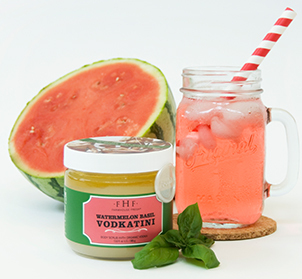 Then, relax with a customized 90 minute duo massage featuring Blushing Agave Body Oil, while hands and feet are massaged and revitalized with Sunflower Honey-Butter for intensive repair and hydration. FROM A SUN SOOTHER AVOCADO REFRESHER PEDICURE TO A DEEP DRIZZLE BODY MASSAGE... GUESTS LEAVE FEELING REJUVENATED AND REPLENISHED. Come on, get happy! Lucky guests at the world-renowned, all-inclusive Sandals Resorts located throughout the Caribbean get to embrace the lighter side of spa with a massage, scrub, manicure or pedicure in chic, cocktail-infused "Happy Hour" services. 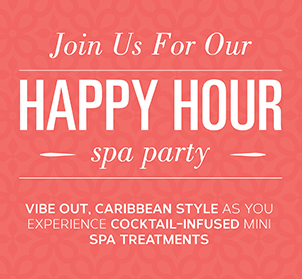 Scrumptious cocktail scrubs, combined with fruit-infused scents of the tropics, make every spa experience a happy hour, indeed!